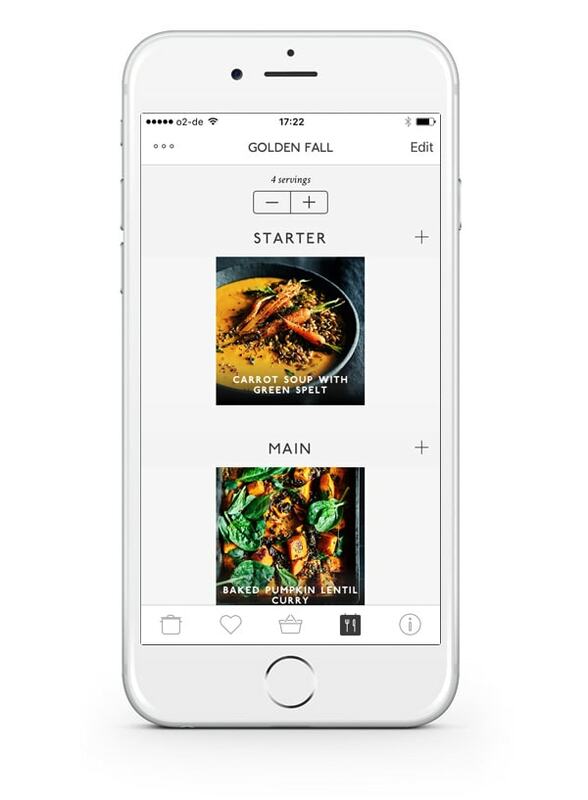 Following the success of our 2015 cookbook, we decided to bring the Krautkopf recipes to life in the form of an app. Designed for iPhone, iPad and the Apple Watch, it is available in German and English. In the app, we’ve included metric, imperial and U.S. units so there’s no need to look at conversions charts, as we’ve done the work for you! 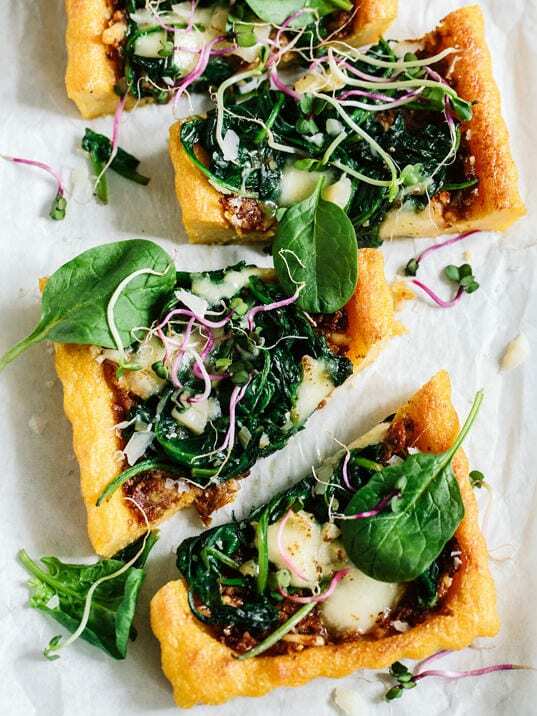 You’ll find a total of 80 seasonal, vegetarian dishes waiting to be discovered. 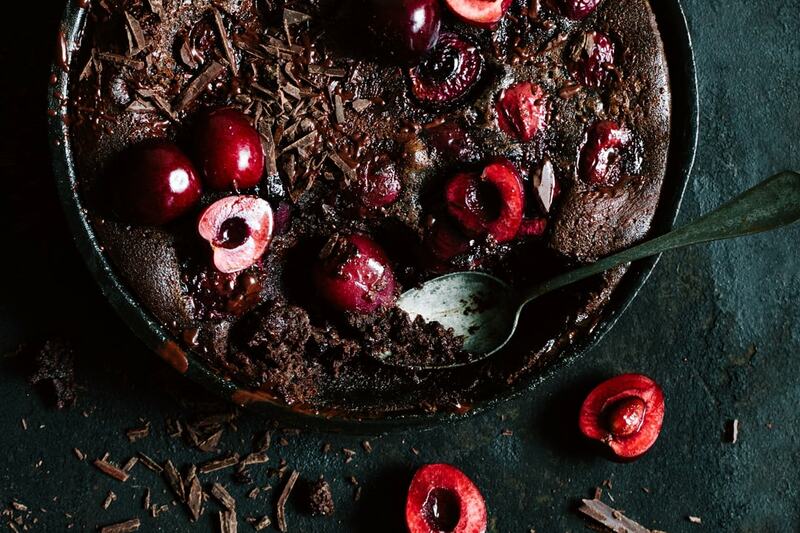 We wanted to add not only recipes from our blog, but also something completely new. 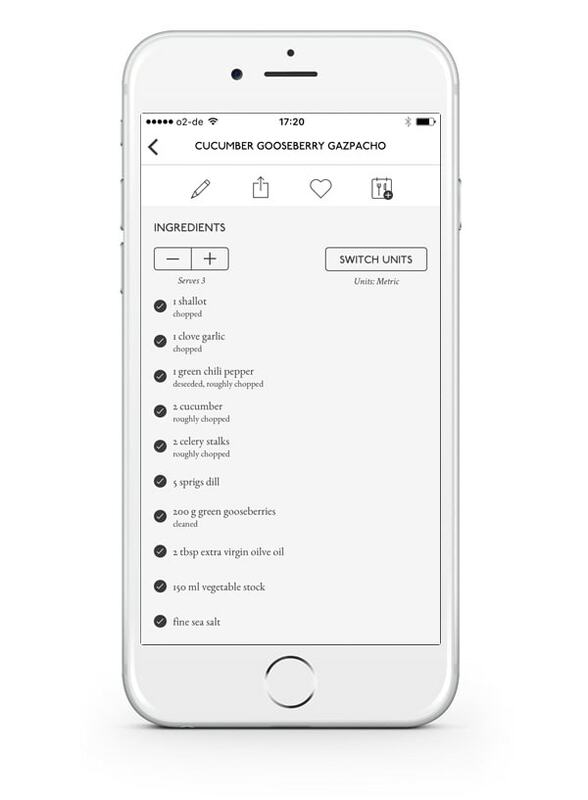 60 of the recipes have been developed exclusively for the app. More than half are vegan and gluten-free. You can order the recipes by diet, by seasons and course. You can even search by ingredient and see all the recipes that include it. 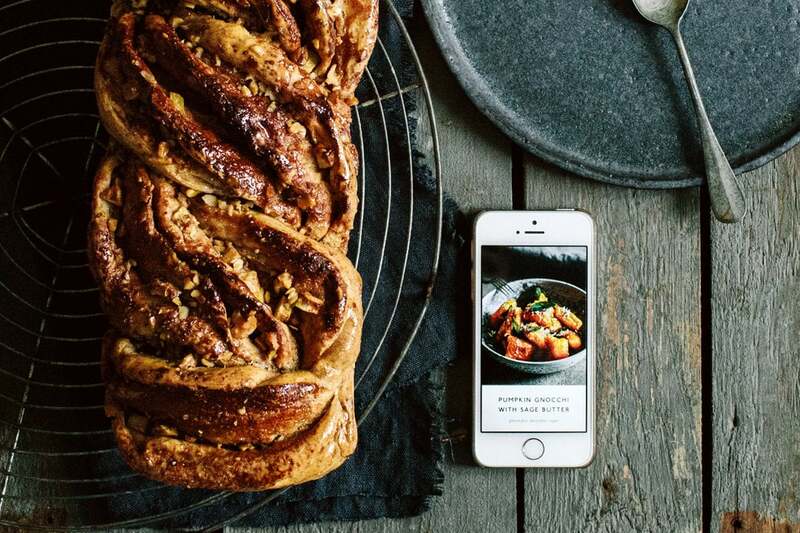 The Krautkopf app has many great features that make creating amazing recipes easy. Below, you’ll find a tour of some of the most popular features. We invite you to get your copy from the App Store and look forward to your feedback and reviews. 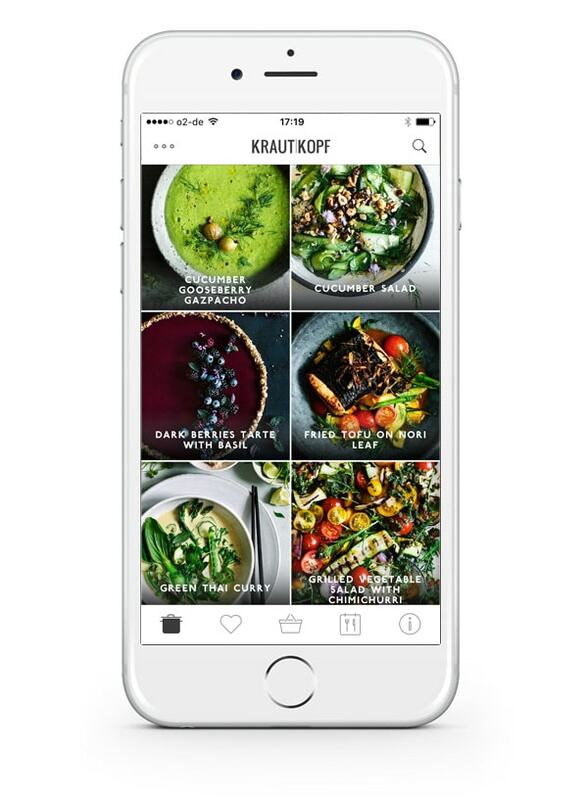 For the Krautkopf app, we really wanted to focus on recipes which are easy to follow and will have a wide appeal. 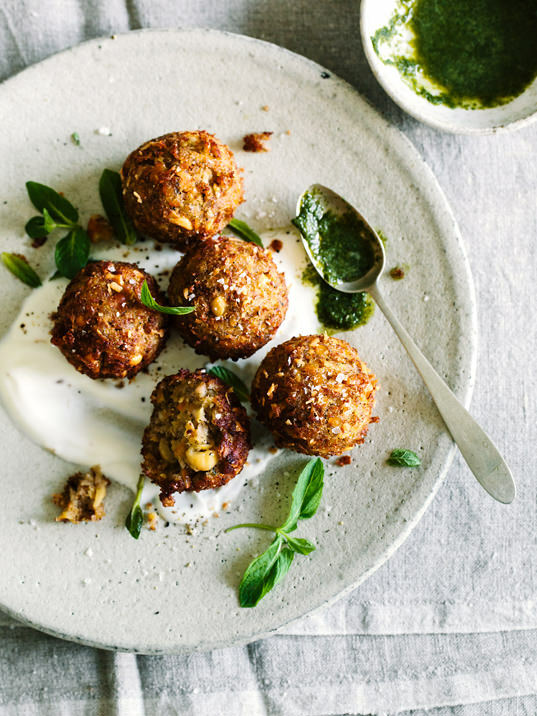 We want to show just how incredible vegetarian cuisine can be across a full range of recipes – light starters, snacks that are perfect for on the go, feasts worthy of inviting family and friends around and delicious treats. 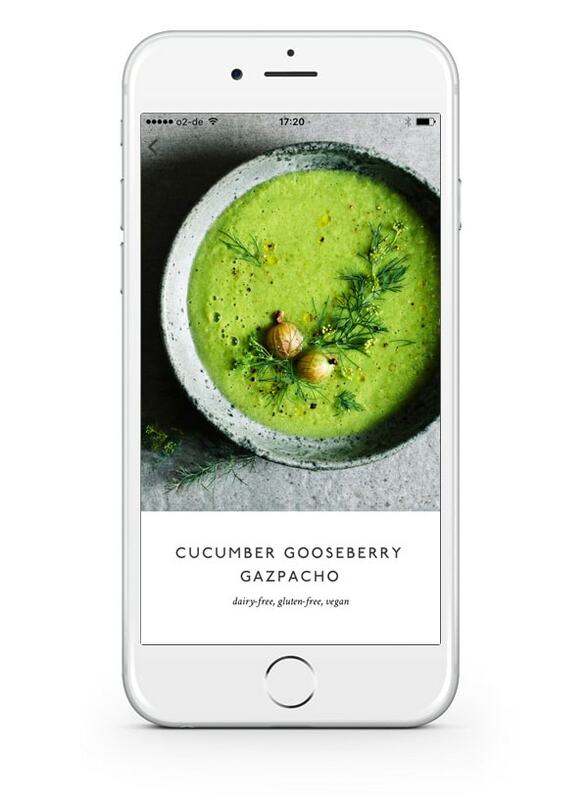 Whilst looking at a recipe, simply swipe your finger to move to the next or previous recipe. 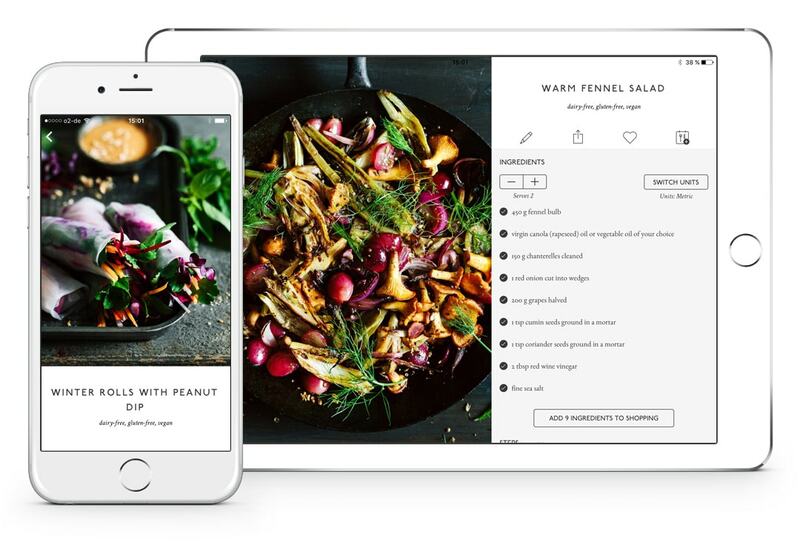 This feels like a cookbook, where you can simply enjoy the recipe photos and double tap to add your favorites. Great meals are meant to be shared. Whether you are just inviting two close friends or the whole family, including the cousins you rarely see. With the Krautkopf app, a quick tap will allow you to increase the serving size. Check the ingredients list for a recipe and tap on any items that you already have in your pantry. 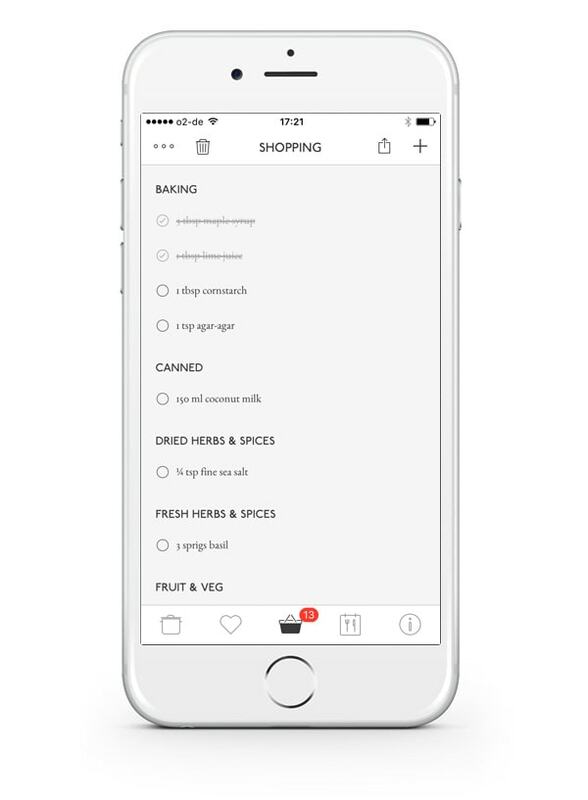 With anything that’s left, tap on “Add to shopping list” and we’ll create a list that is organized by aisle. This makes it easier at the supermarket to find the items you need. Of course, you can also add your own items to the shopping list. In the same way you can tap on ingredients in the recipe screen that you already have, you can also tap as you complete each step. This makes it easy to keep track of where you are. We’re really excited about this feature, as we believe food is such a great way to bring people together. Our sample dinner plans are designed to inspire you with potential menus you could cook for friends and family. Of course, you can also create your own menus. Once you have a plan, you can tap to quickly adjust how many people will be joining for dinner and then create a shopping list. It’s a real time saver!